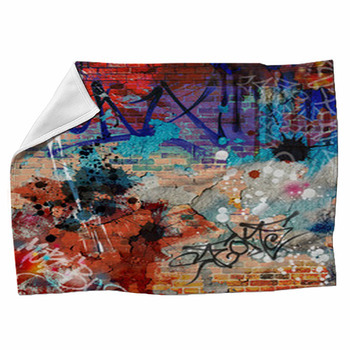 Improvised and made from simple material in any location, graffiti is an amazing art form. 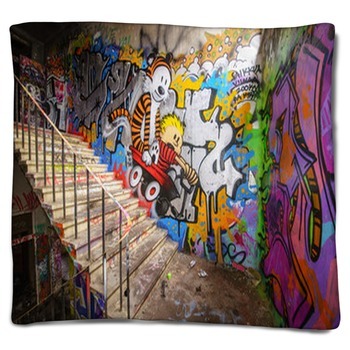 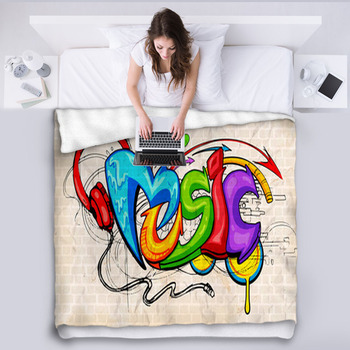 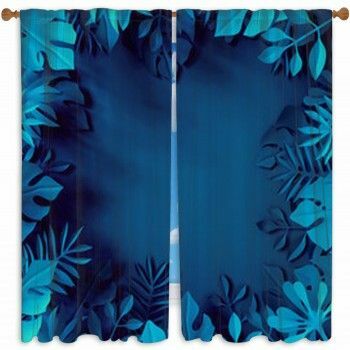 Now you can enjoy graffiti art and style in your own home with our custom graffiti themed blankets. 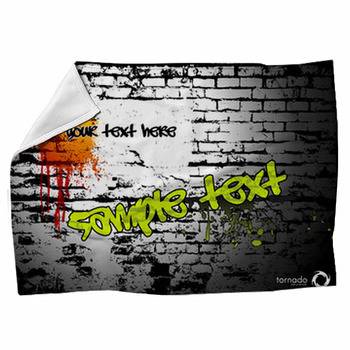 Turn your bed into a gritty city wall with a bed blanket depicting a scraped up black and white brick wall with a big splash of orange graffiti paint and a place for you to have your own words written on the wall in fluorescent green graffiti, a graffiti face with eyes closed painted in bright orange, purple, yellow and lavender, or a turquoise, black and orange abstract eye surrounded by cracked wall, dots, and two big orange swirls that form the eyelids, with a black and grey cityscape and green sky in the background. 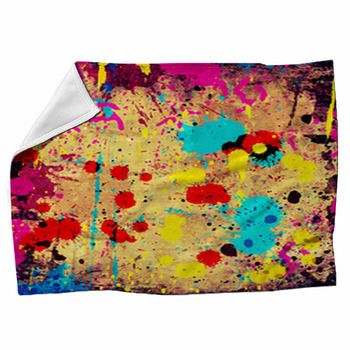 Then choose a graffiti throw blanket with matching throw pillows or to hang on a wall and give your home a rugged yet artistic urban feel, with a graffiti design such as a woman in a traditional black and white maid outfit lifting up part of a white wall to reveal red bricks underneath, All you need is love spray painted in big white letters over layers and layers of older graffiti including splashes of green, orange and red and dozens of names, a guy in a grey hoodie staring at you while standing in front of a dirty, graffiti covered wall, or a pattern of four cartoon cans of white, blue, yellow and green spray paint with eyes and frowning mouths. 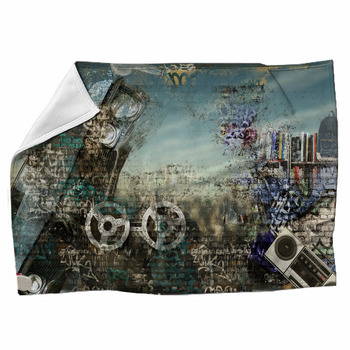 You can also give your home decor a street edginess with fleece blankets displaying a graffiti design in Brighton, England in which a gray alien is holding a can of blue spray paint in the middle of a scene of green arrows, red stripes and blue letters, or a bizarre looking face with no jaw, blue skin, a red nose, green eyes and jagged white teeth.